I have to admit, I hadn’t heard of case maker Tactus until last week, but in the space of just a few days it has published an unveiling date and specifications for the fifth-generation iPad, the plastic casing for Apple’s rumored low-cost iPhone, and now the fifth-generation iPad’s new aluminum shell. Although there’s no way of confirming this shell is genuine — it could have been manufactured by a third-party company building fakes — it looks pretty convincing to us. 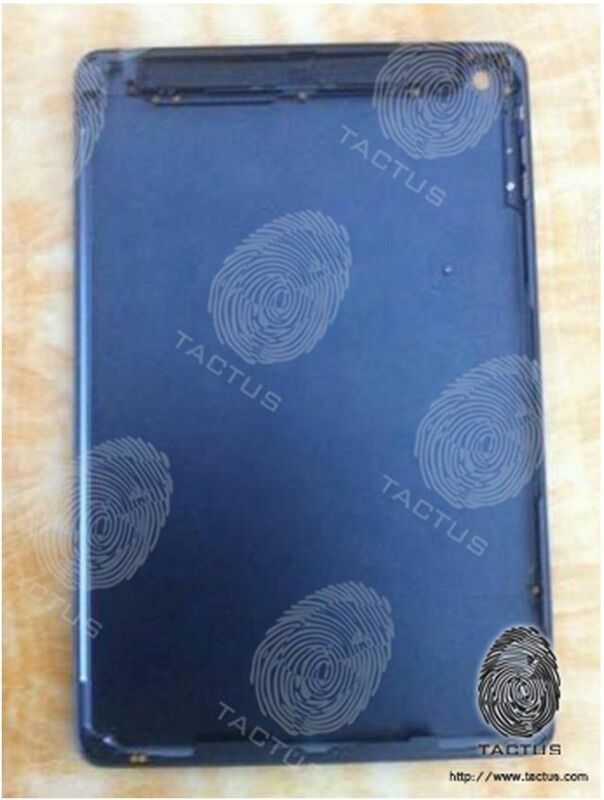 As expected, it looks just like a bigger version of the iPad mini’s rear shell. The shell is narrower than previous 9.7-inch iPads, but it won’t hold a smaller display. Instead, the new iPad will likely have thinner bezels down either side of its screen, just like the iPad mini, which will allow its body to become more compact. It’ll also be significantly thinner than previous models, thanks to an IGZO display, Tactus claims. Great news for you Tacties who still thought the current iPads were too thick, as the predictions may be coming true: Apple are finally supposed to be using IGZO displays with their retina resolution screen, which means a thinner iPad is definitely on the cards. Apple has reportedly been poised to adopt Sharp’s IGZO display technology for a number of years, but it’s though that Sharp’s inability to produce them fast enough and meet iPad demand has meant the Cupertino company has had to wait. Now it appears that issue may have been resolved, and the new iPad could be the first with this technology. IGZO displays are thinner than traditional iPad displays, and they’re more energy efficient. That means that don’t need such a big battery to keep them going, and they don’t take up anywhere near as much space. Thanks to an IGZO display, the new iPad could be just 7.2mm thick, Tactus claims. Other features will reportedly include an 8-megapixel rear-facing camera, a new A7X processor, and the same storage options we have now, with the 16GB model still part of the lineup. Again, we can’t confirm the shell or any of these specifications are accurate, so take them with a pinch of salt for now.